i met samuel johnson of lakemoor, ill. ealier today while i was on assignment for the nw herald at an event that attempted to re-create a day on an american farm during wwll. 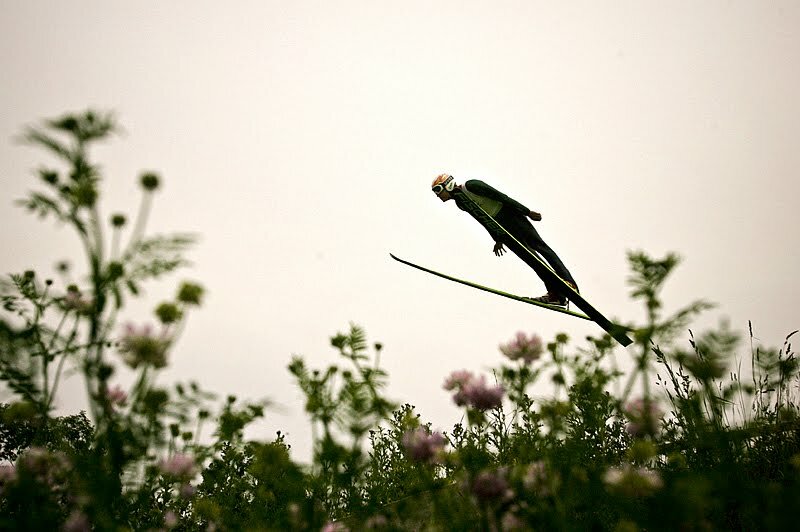 some sort of a homefront perspective. 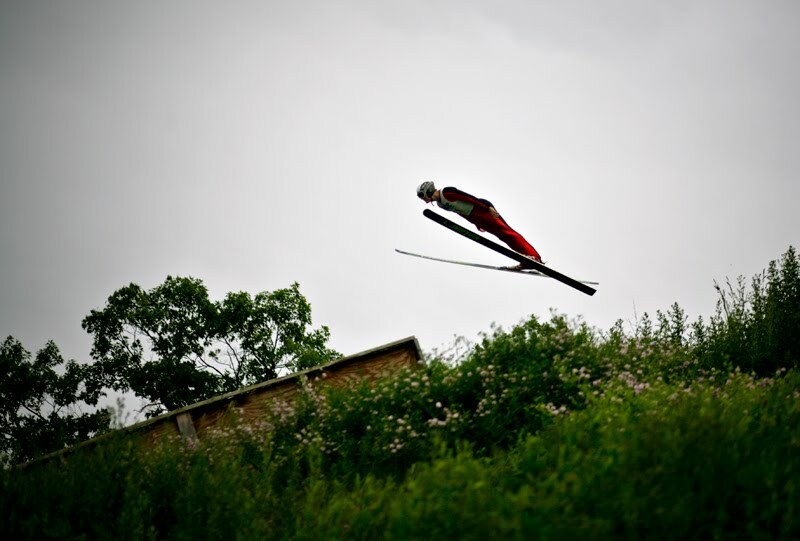 johnson and a couple of his friends had a tent set up there and they were doing ironworks using traditional methods. meaning they used coal powered fire and hammers to shape the metal. 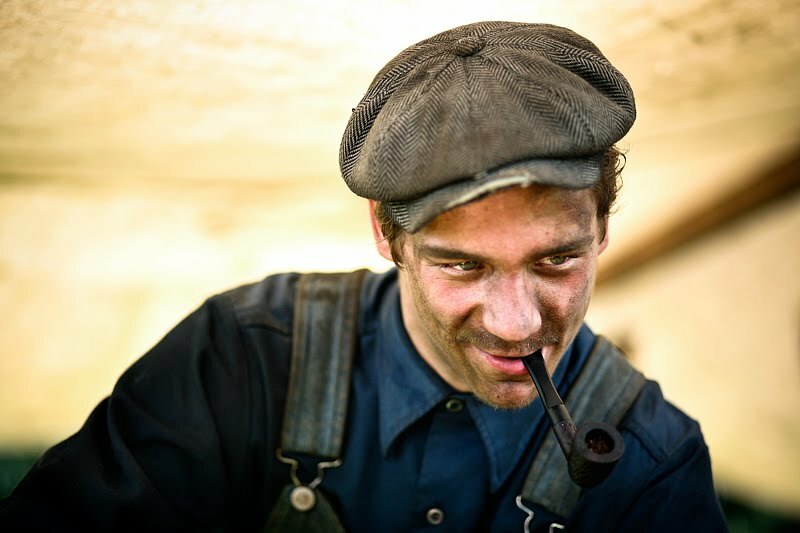 his face covered in sweat and coal powder, his bright green eyes, along with the hat, the pipe and the blue shirt made me want to stick around for a few moments and take a few photos. the one bellow was made when he took a short break to light up his pipe and talk to a possible customer. it's the one that i like most out of the several compositions and expressions that i ended up with after a few minutes there. 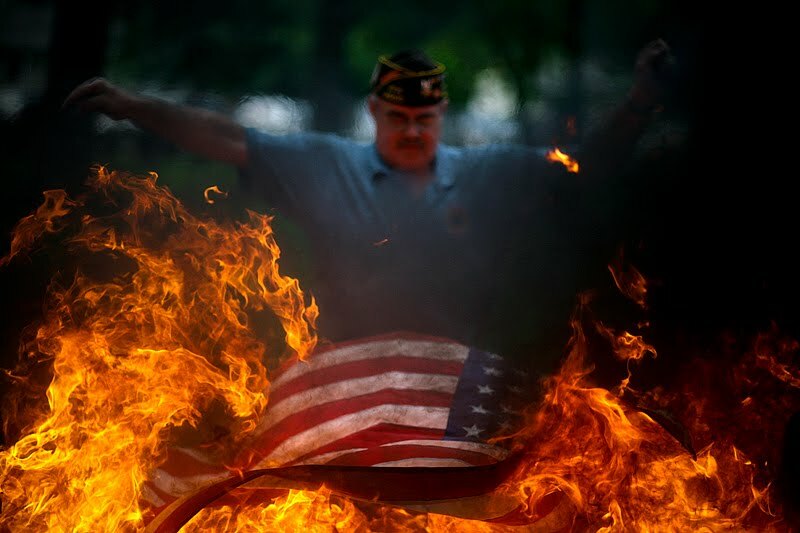 Gordon Jesme, Senior Vice Commander of VFW Post 4600 in McHenry, Ill. puts Old Glory flags on fire on Flag Day, Monday, June 14, during a flag retirement ceremony, at the VFW Post 4600 in McHenry, Ill. For those who don't know this already, the American flags are never thrown away when they become worn, torn, faded or badly soiled, but they're retired (burned) during a solemn ceremony as a sign of respect. 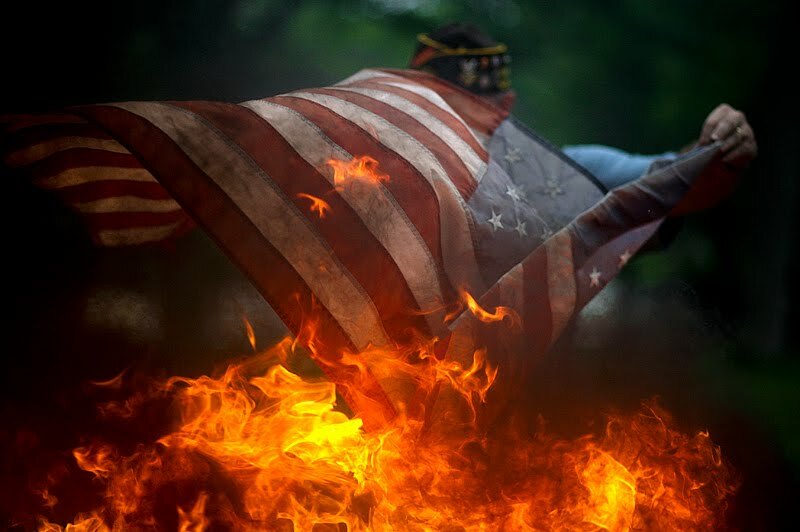 two photos that i took during my memorial day assignments. one, the second, got published. the other is a moment i noticed while photographing something else inside the woodstock ill. opera house. 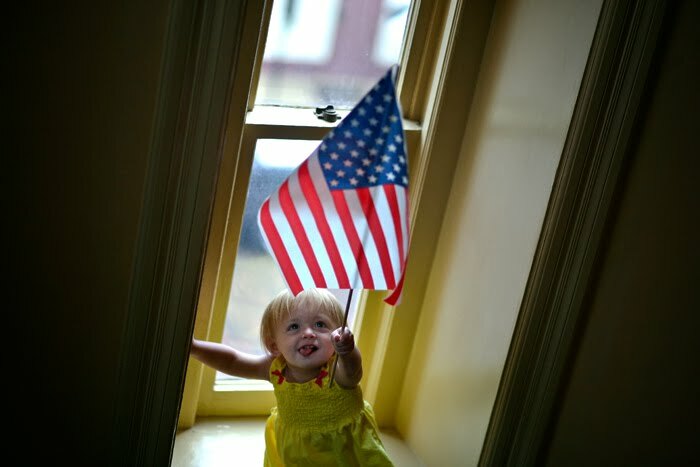 22-month-old Morgan Hill of Woodstock, Ill., plays with a flag given to her by her dad, Damon Hill, on Monday, May 31, 2010, inside the Woodstock Opera House during the Memorial Day ceremony. Because of the heavy rainfall the parade was canceled and the ceremony was moved inside the Opera House. 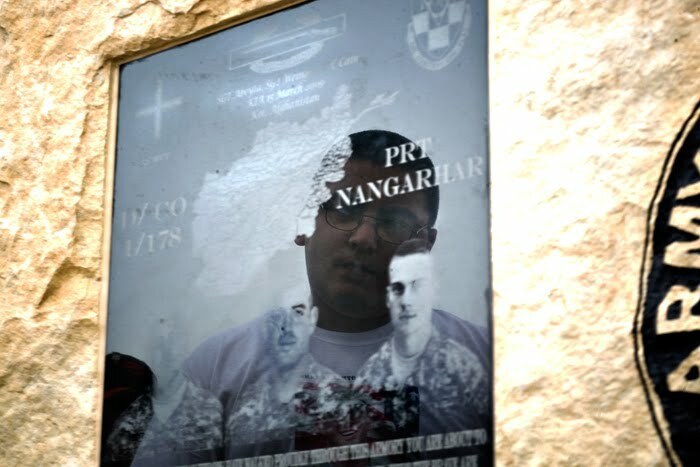 Peter Verastegui of Rockford, Ill., is reflected in the plaque mounted on the 6-foot-tall memorial in front of the Woodstock National Guard armory, on Monday, May 31, 2010, in Woodstock, Ill. Verastegui was friends with Sgt. Robert Weinger of Round Lake Beach (center on the plaque) who died on March 15, 2009 in Afghanistan. The two served together in Iraq. Company D. 1st Batalion, 178th Infantry in Woodstock, an Illinois National Guard unit recenlty returned from Afghanistan recognized its fallen by unveiling a memorial on Memorial Day. the chicago blackhawks won the stanley cup last night in philadelphia. it's been 49 years since the hawks won their last stanley cup, so their success it's a pretty big deal around here. especially since the other chicago teams haven't been doing too well in the last years. i didn't get to photograph any of the games of the final, but i covered the blackhawks' fourth and last game against the san jose sharks at the united center in chicago. the hawks won the series in 4 games, and went on to play against philadelphia flyers in the stanley cup final. it's pretty darn sweet to be in there and hear 20,000+ fans sing fratellis' chelsea dagger song after each goal. bellow is an image that i took during that game. 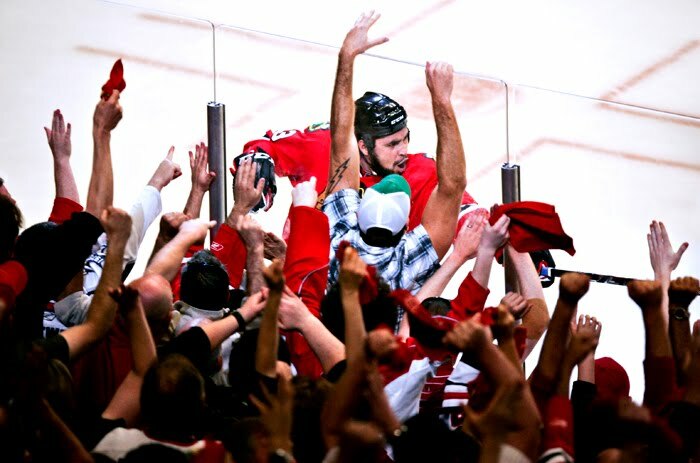 Blackhawks forward Dustin Byfuglien celebrates with fans along the glass after scoring the go-ahead goal in the third period of Game 4 of the Western Conference finals, on Sunday, May 23, 2010, at the United Center in Chicago, Ill. The Hawks won 4-2 and finished off the San Jose Sharks in a sweep to advance to the Stanley Cup finals for the first time since 1992.
i met up with the group towards the end of their first day of marching, in arlington heights, ill. at the st. james catholic church where they were offered food and shelter. they had walked for 18 miles that day. i wanted to take a photograph that would show more than just a group of people walking on a road and holding up signs. 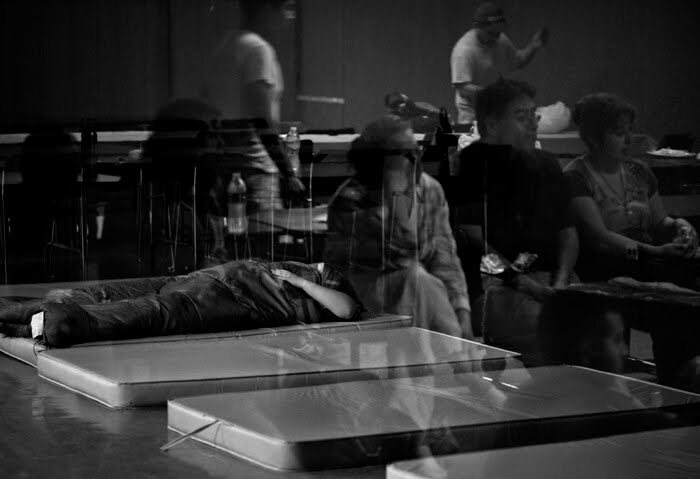 a member of the immigration rights activists group fell asleep on one of the mattresses provided by the volunteers at the st. james catholic church while the others gathered in a circle to share their stories at the end of their first day of marching.